If you’re one of the 300 million monthly active users on Instagram, there’s a good chance you’ve witnessed at least a handful of style-conscious friends publish forth #WIWTs and #OOTDs (For the uninitiated, that’s What I Wore Today, and Outfit Of The Day, respectively). From professional studio shoots to bathroom mirror selfies, the Instagram fashion world is a noisy one. And #tbh, Instagram is particularly suited for this kind of content. The world has taken notice (evidence: at the time of publishing, the hashtag #OOTD has been used 56,532,896 times). And every once in a while, in the midst of such noise, someone comes along and does things a little differently. A little better. Someone like Rainier Pazcoguin, most notably known as @thedressedchest. All but a select few of Rainier’s over 500 posts feature an identically cropped selfie – from the top of his abdomen to the bottom of his chin. 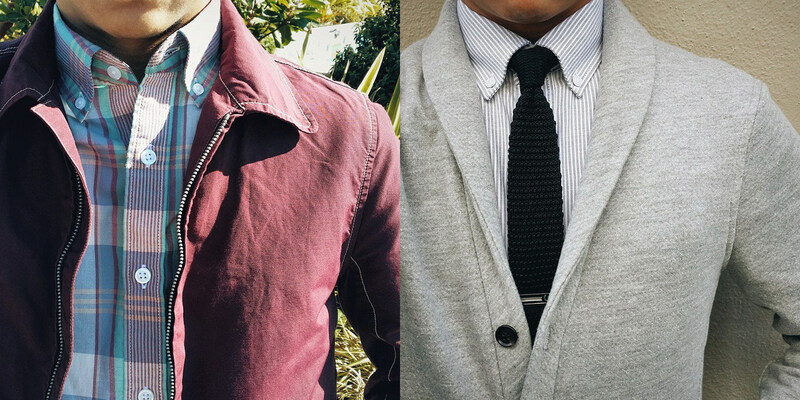 Never showing his face, @thedressedchest’s feed is as stylish as it is mysterious. So we wondered…who is this man behind the stylish torso? Classfare had the privilege to interview the headless man whose impeccable style might be bested only by his curious knack for puns. It turns out – he does in fact have a head. Why did you start @thedressedchest? Even though software engineers aren’t exactly known for their fashion sense, I’ve always tried to dress my best every day. I decided I wanted to keep track of my outfits so that I don’t wear the same thing twice. And beyond that, I could look back on my collection of looks whenever I was having a hard time figuring out what to wear and be inspired to create outfits similar to those that I had already posted. The idea to create an Instagram account specifically for my chesties though came from my sister. She blogs and had her own IG account, and she was the one who really pushed me in this direction. Before that I was putting my chesties up on my personal IG account. 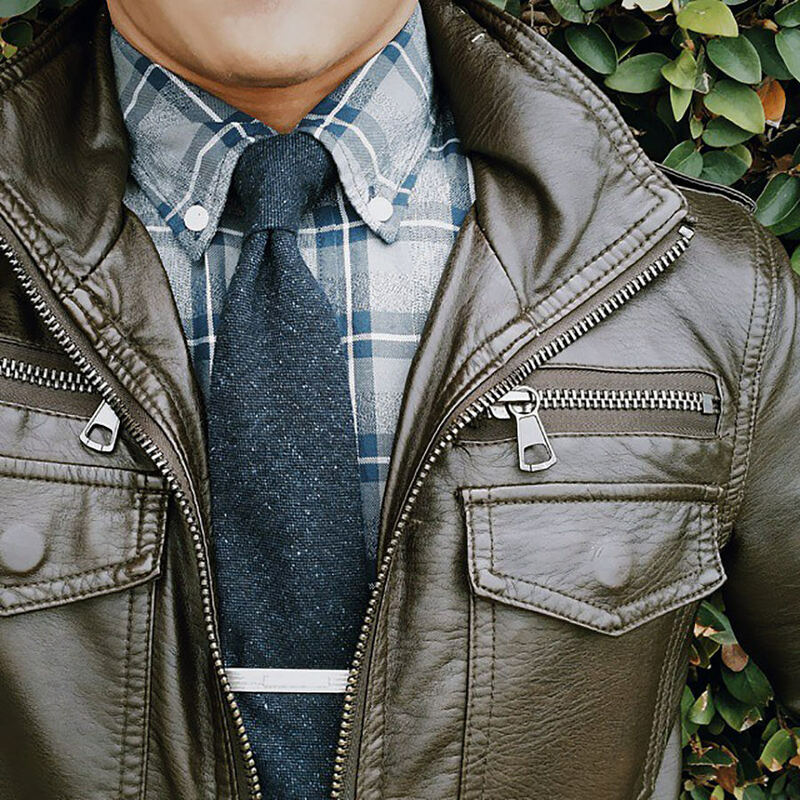 Describe what style means to you. To me, style is really personal. 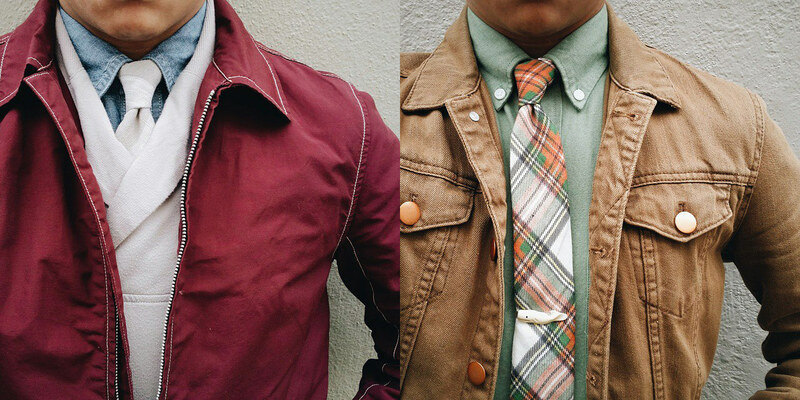 Sure, there are general rules or principles by which guys should abide when it comes to clothing – like how you shouldn’t wear suspenders with a belt or how you shouldn’t wear black shoes with a brown belt – but at the same time, there are things about men’s style that are really individual. There are some clothes and pieces that fit well on some guys, but do not go well at all on others. It’s about knowing yourself and your body and dressing accordingly. 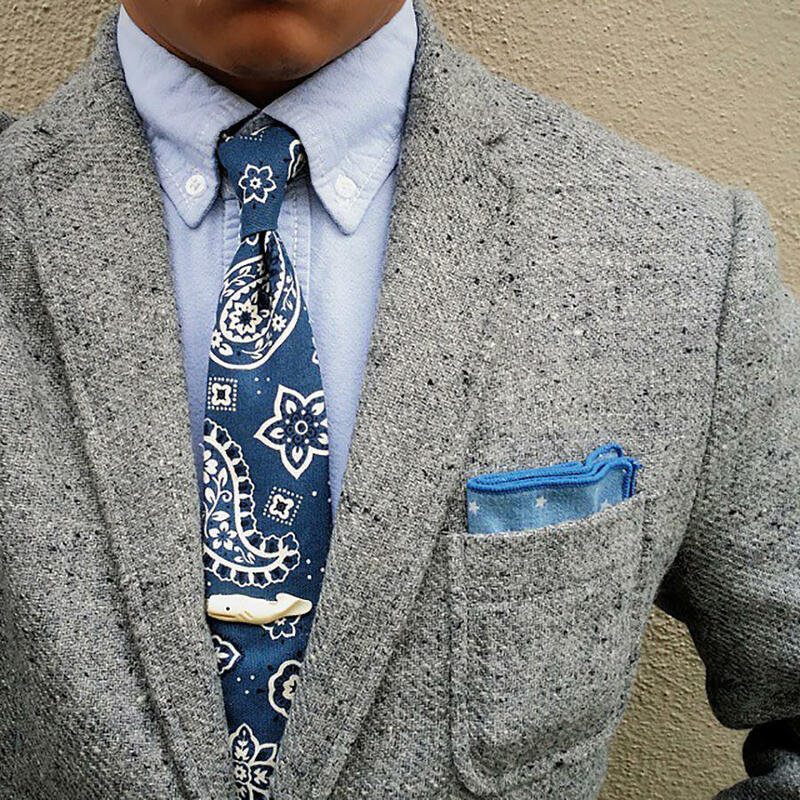 Take, for instance, the solid gray knit tie. It’s a pretty versatile piece and can be worn a lot of different ways. 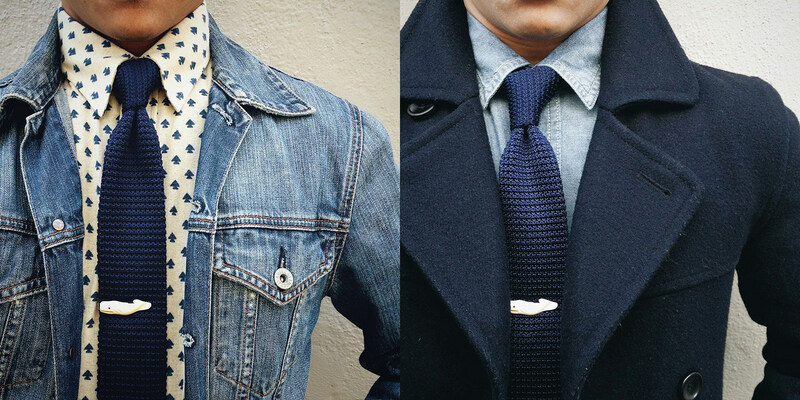 One guy can wear it with a leather bomber jacket; another can wear it with a navy blue blazer; still another person can throw a denim jacket on top. In all three cases, it’s the same knit tie, but how it’s worn in these three cases is what reflects each individual’s style. My weekdays are pretty routine, actually… just typical working husband/dad stuff. I get up, go to work, come home, and cool out with my wife and kids. The walk between my house and my car is where most of my chestie work takes place. It takes about a dozen or so tries to get the lighting and angle just right. Then I touch up the photo and post to my feed. Sometimes, if I’m running late for work, I post a ready-made shot that I’ve stashed away. Throughout the day, like during slow periods at the office or during lunch, I try my best to respond to comments on my posts. Most of the time though, I respond at night while my boys are asleep. That’s also when I respond to emails and plan future looks. Business casual, perhaps? I work in a field where dressing up well isn’t exactly a priority, so anything too loud or dandy would really stick out – and not in a good way. That said, I really enjoy mixing and matching pieces. My wardrobe is kind of like a set of Lego bricks: each individual piece serves its purpose, but it’s what I can make out of those pieces that counts. I love how the same items can turn out to be something completely different when put together uniquely. 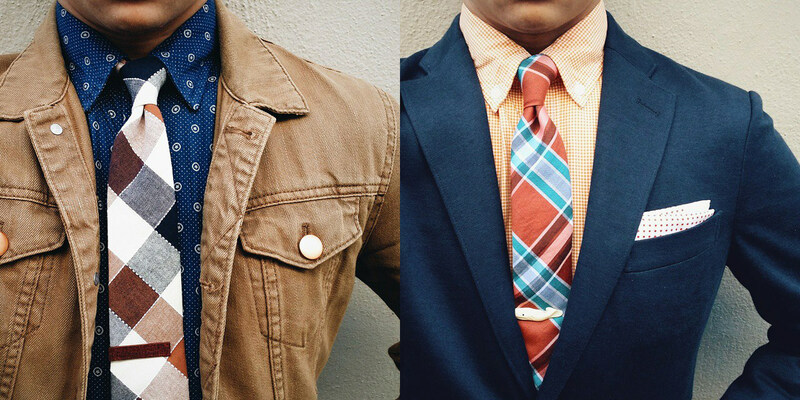 Tell us about that awesome whale tie bar we see so frequently. The whale tie bar was the first Valentine’s Day gift I got from my wife after we got married. It’s kind of like my wedding ring – a little stylish reminder of my wife’s love for me. 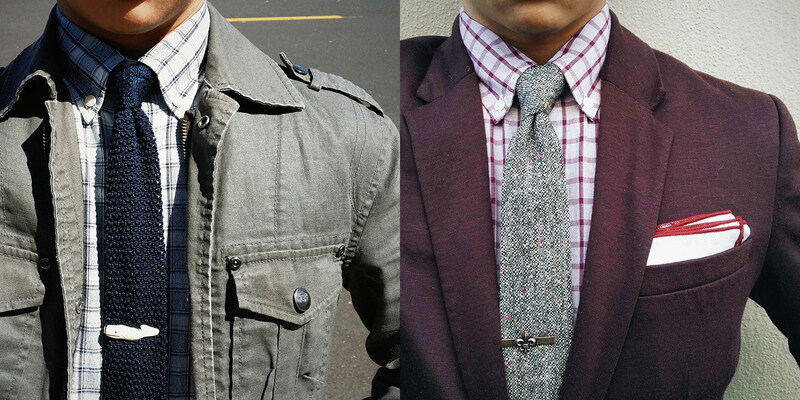 In terms of style, I love how it’s simple, unpretentious, unique, and on the casual side of tie bars. 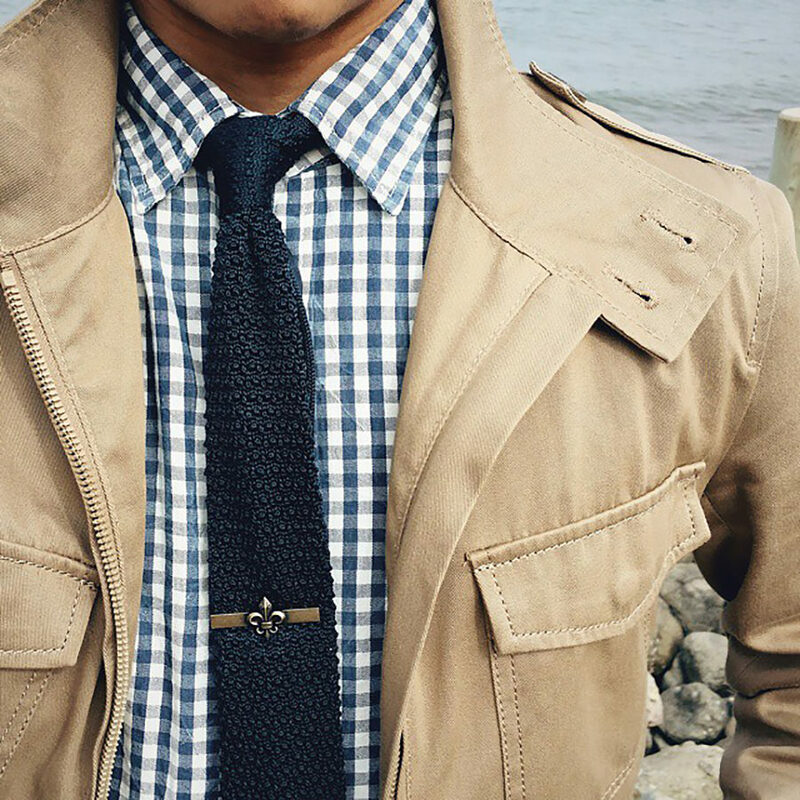 There are some tie bars out there that can be a little too novel, but this one is just right. I also think the tie bar is a reflection of my personality. I like to dress up well, but I try not to take myself too seriously. The whale tie bar looks nice but isn’t too serious, and I guess that’s why I’m drawn to it so much. Where do you go to find creative inspiration? A lot of places, actually. There’s Instagram, of course; I draw a lot of inspiration from people I follow. I also draw a lot of inspiration from Pinterest. And then of course there’s GQ’s quarterly Style Guide, as well as well as catalogs and look books from J.Crew, Armani Exchange, and a variety of other retailers and designers. 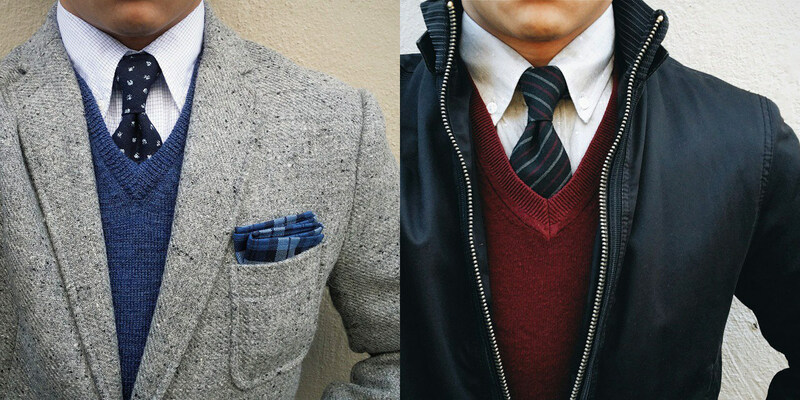 Some of the main things I look out for in terms of inspiration though are color/pattern/texture combinations. For instance, I remember having seen this dusty brown and lavender and gray outfit and was inspired to make a whole slew of dusty-colored outfits. We love your puns. Have you always been so punny? It puns in the family! The thing I like about puns is that they are harmless and they keep the mood light. I’m all about easygoing vibes, and puns have a way of maintaining that. I don’t know of anyone who has ever been insulted or offended by a pun.